I hope the world is treating you right, I wanted to tell you some great and exciting news from my world so great I had to share some of it. I have been working with Murray Anderson on his latest book release called "Tommy Fodwooger's Sleuth Club - The Case Of the Horseradish Chocolate", this being my first "Young Adult/Children's Book" I helped design the cover. I was a bit nervous cause it could have gone many different artistic ways and yes you all are thinking the same thing... I can do nice art too. I am also Guest Hosting over at "alexjcavanaugh.blogspot.com" where I will be telling the meaning of life, no kidding it was great for Alex to let me play over in his pool... hope I can swim. I know there are great prizes available, maybe one of those floaty things you put in the water. So please go check out all the fun. Have a great long weekend. The cover looks excellent, Jeremy! And happy to host you today. 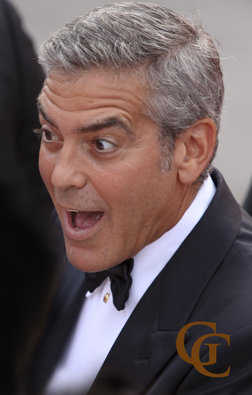 I think George clooney would make a suave zombie. lol. And a lovely job you did. That was a great guest post.